A collage of many of the paintings that I have created over the last years | SURVIVE THE APOCALYPSE ! 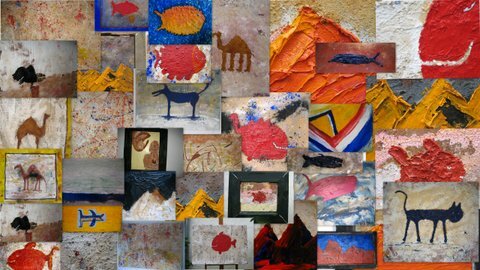 This collage gives a good overview of the variety of my artwork. This entry was posted in General and tagged Painting by Clemens P. Suter. Bookmark the permalink.